We are taking photos more than ever, but they’re nearly all digital files with very few tangible prints being produced. By now we know that digital never means safe, yet millions of memories are currently being entrusted to servers, clouds and phones. The risk could be felt by our entire generation, as we grow up without a printed, photographic record of our lives. The most photographed generation of all time could wind up being the next Lost Generation. It’s not just affecting today’s youth. 42% of people between the ages of 30 and 44 will likely look back and wonder where photos of their childhood, holiday get-togethers, relatives and friends have gone decades from now, and, reportedly, 67% store their photos solely on a computer or phone. 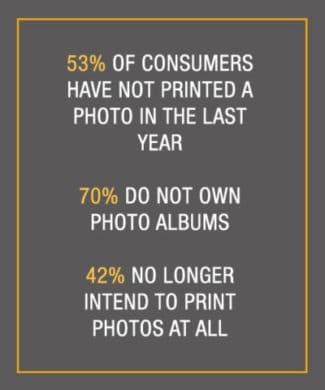 Statistics show that a staggering 53% of consumers have not printed a photo in more than 12 months, 70% don’t have photo albums, and 42% no longer print photos at all. [Data from a 2015 nationwide survey conducted by Professional Photographers of America (PPA)]. It doesn’t have to be this way. We know that everything from candles, bicycles and vinyl albums have survived the “disruption” caused by technological advancements. We have to remember the value and importance of printed, framed, and mounted photographs in our lives and for the generations after us. 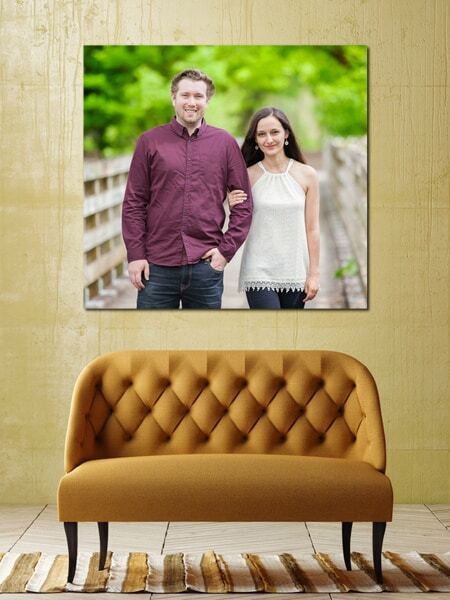 Children love to see images of themselves around the house, newlyweds have fond moments when they see their wedding photo on the mantle or walls, and our most beloved pets are sealed in time…all thanks to the power of print. Does the photographer offer print art? Does the photographer have examples of their print art you can review? Does the photographer use quality paper? Can the photographer offer quality options within your price range? Can the photographer show you how the art would look in your very own home? If you do the right research, you’ll be glad you made the effort. The professional photographer will also be glad that you are interested in quality work and print art. 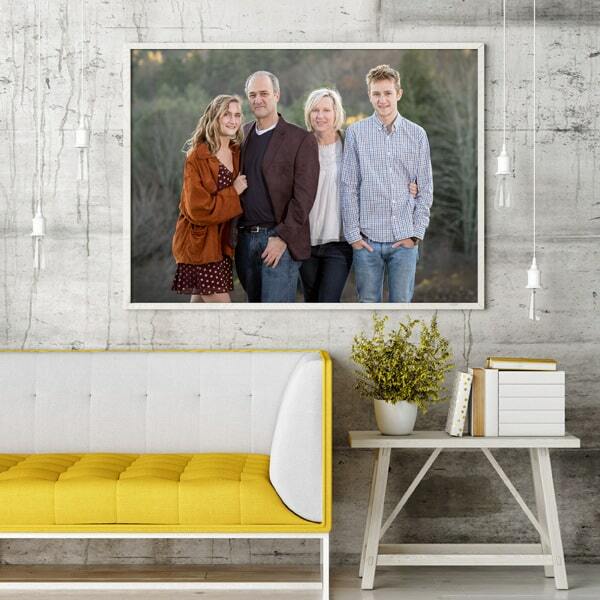 Together, you and your photographer can create beautiful pieces for your home and for your family. Because your prints are for today, tomorrow and all the tomorrows after that. Because prints remind us of what love really feels like. Because they’re only young once. Because when there’s a fire, what’s the first thing you grab? Because so many photos get lost, or even worse, deleted off of old hard drives. Because you can touch and feel your memories. Because technology comes and goes. Because photography is best enjoyed in print. Because a memory stick in a drawer is pointless. Because a hard drive doesn’t trigger a smile. Because memories are tied to touch. Because there’s nothing like sitting down by a fireplace and flipping through the pages of a family album. Because your parents and grandparents won’t be around forever. 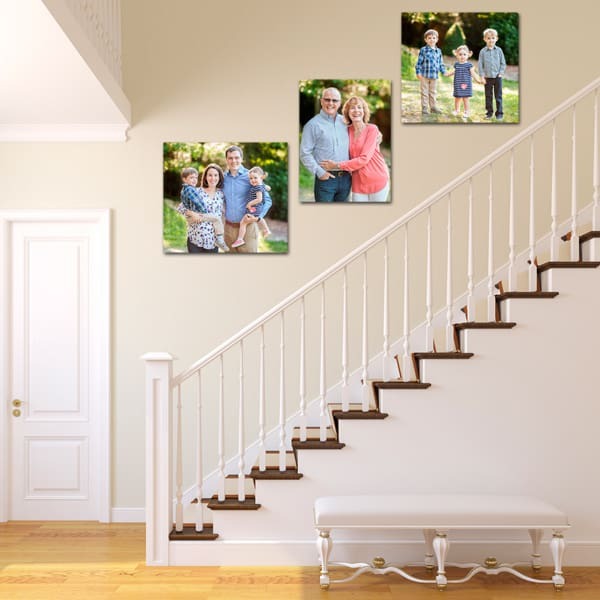 Jean Moree Photography carries a wide selection of high-end products designed to showcase and preserve your families’ memories that you won’t find just anywhere. Give yourself the gift of showcasing in PRINT your most cherished moments or people. Use the space where you spend the most of your time to display the images you love. Together, we can incorporate these images into any space and create an environment that will tell the story of your life. We use high-quality products and printing techniques to ensure that you will have heirloom pieces for years to come.